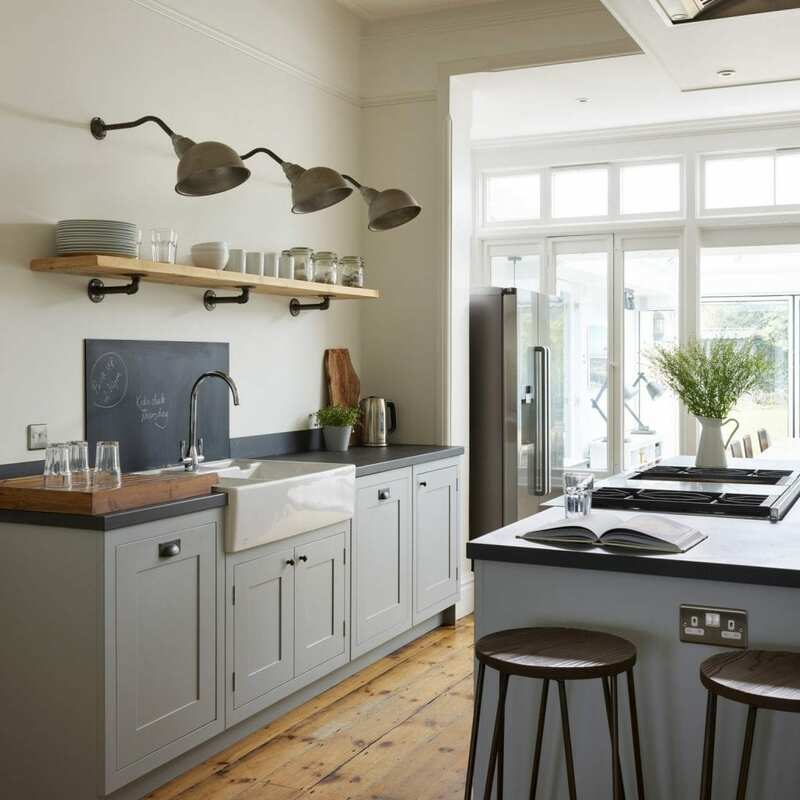 You’d be forgiven for thinking that a 7-bedroom, 3-storey detached Victorian property would make a spacious and welcoming family home, but for Ali and Joe this was not the case. 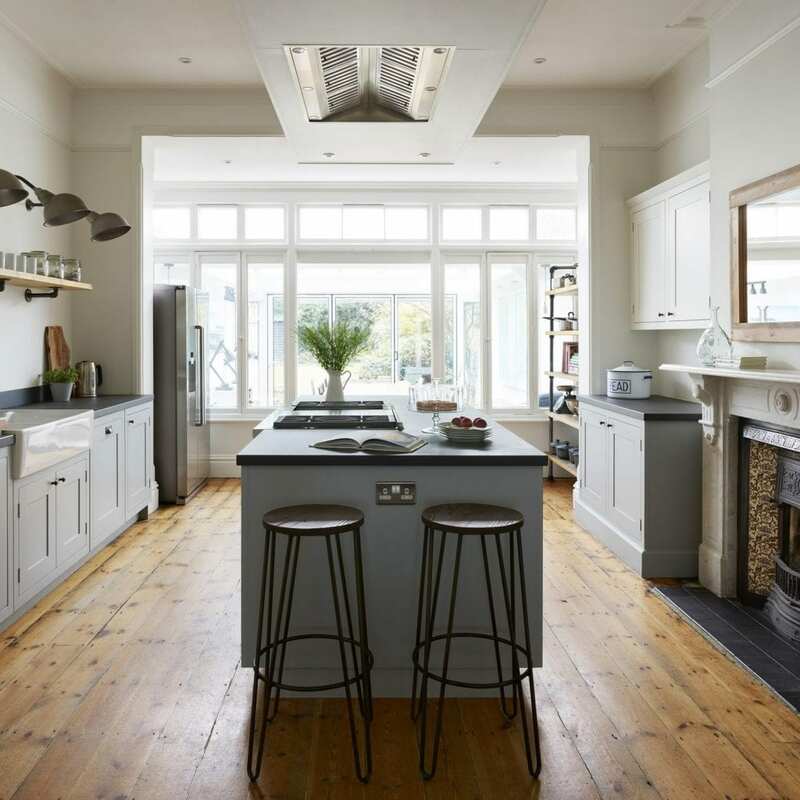 When they moved into their late Victorian home in Colchester, Essex they knew that re-configuring the ground floor was a priority. 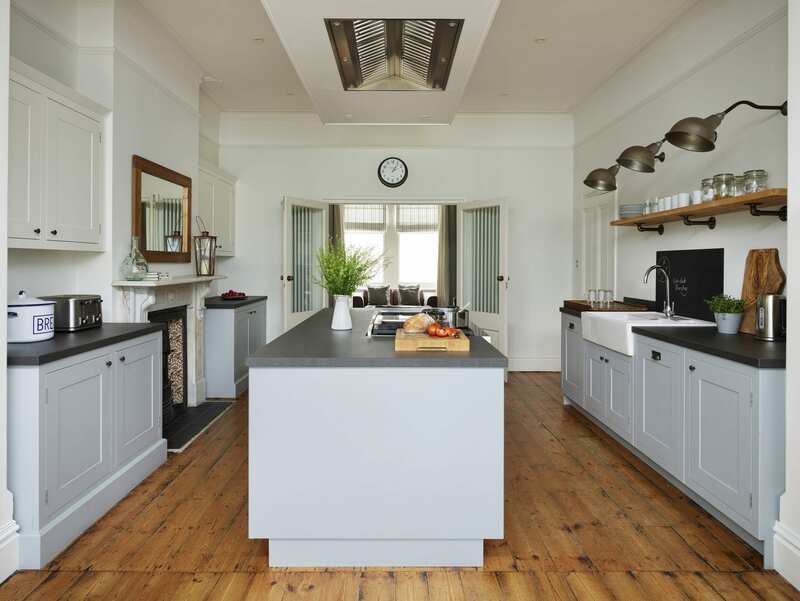 The main purpose of remodelling the layout was to put the kitchen in a more central position; making the most of original architectural features whilst also benefiting from views over the garden. 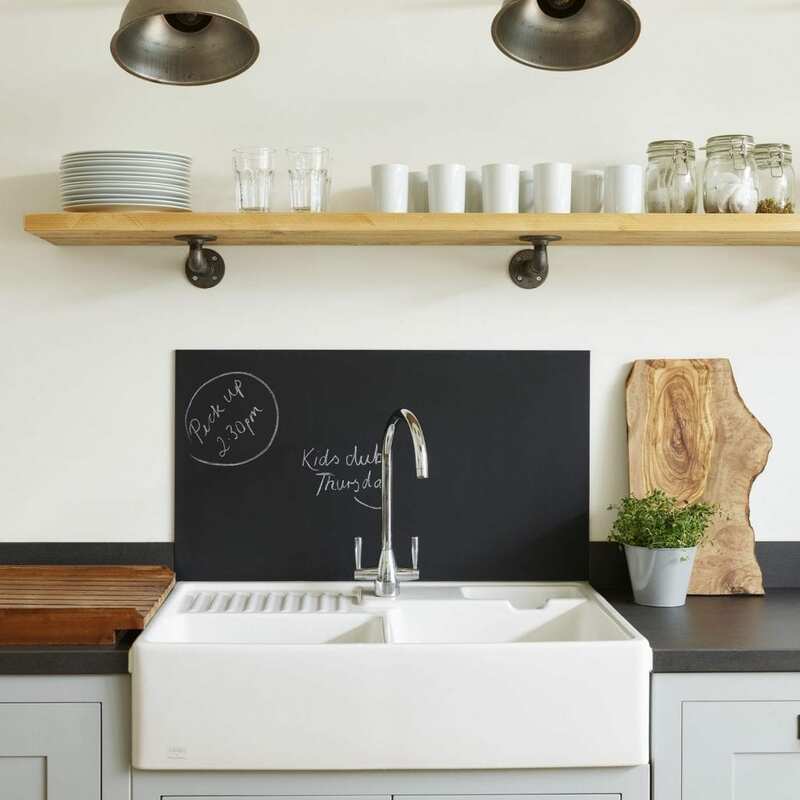 So when Ali and Joe approached Davonport the brief was clear – to create a family friendly kitchen that was super functional for busy cook, Joe, with an industrial style that simultaneously enhanced the property’s heritage. When it came to changing the floorplan, not a single room on the ground floor was unaffected. 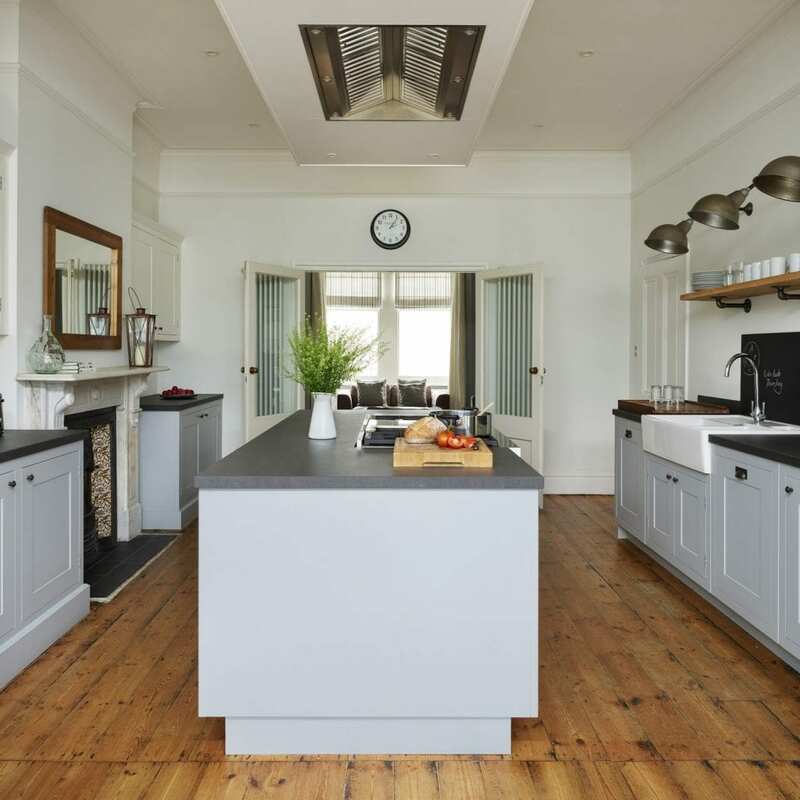 “We moved the kitchen into the sitting room, the sitting room into the dining room, the dining space into the conservatory, and converted the former kitchen into a utility room. It sounds complicated, but it wasn’t – we didn’t move any walls, we just thought about how to re-purpose the rooms to make better use of them for our lifestyle,” explains Ali. Their new kitchen is at the centre of their home, nestled between the sitting room and the conservatory which is used as a dining room. With two sons and pet dog, Ruby, in tow Ali and Joe’s house is rarely quiet with friends and family often round for impromptu dinners and get-togethers. Therefore, the room’s layout and functionality as a cooking area had to be second to none. “The room has been planned beautifully. 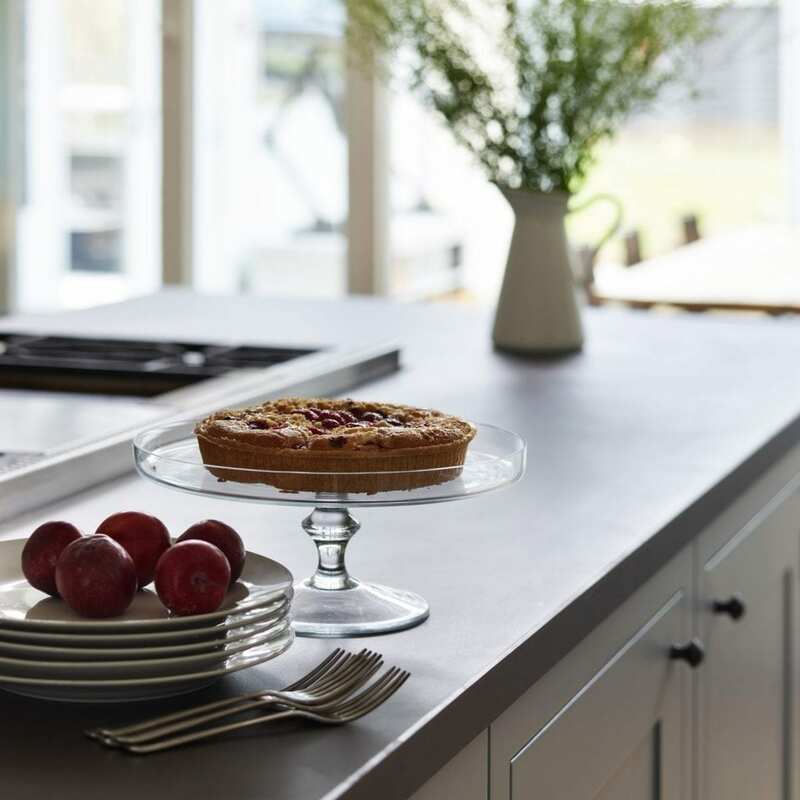 I can stand between the sink and the range cooker, cook a meal, unload the dishwasher, grab a glass of water, keen an eye on the boys doing their homework on the island, talk to friends at the dining table or just gaze out onto the garden – all within a few steps,” explains Ali. Central to the design of the room is the Wolf range cooker. Joe is a keen cook and from day one of the project, a Wolf range cooker was a must have. The model Ali and Joe chose features two ovens, dual stacked gas burners plus a charbroiler and griddle – perfect for Joe who loves nothing more than hosting indoor barbecues for family and friends whatever the weather. 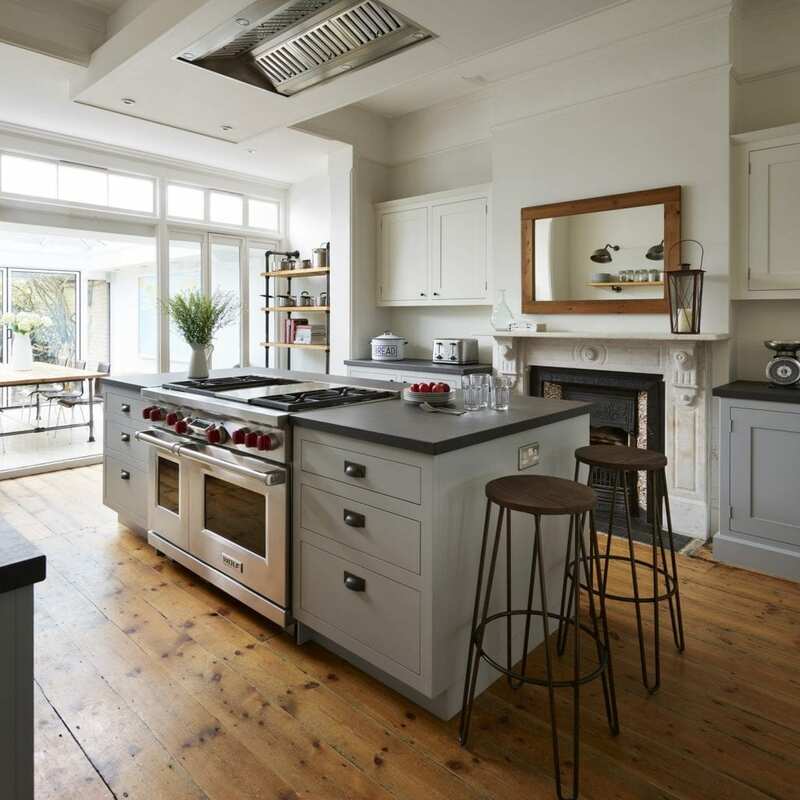 To overcome the steam and odours from the Wolf range cooker, we commissioned a bespoke twin motor extractor fan built into the ceiling box above the island, to avoid obstructing the views through to the garden. 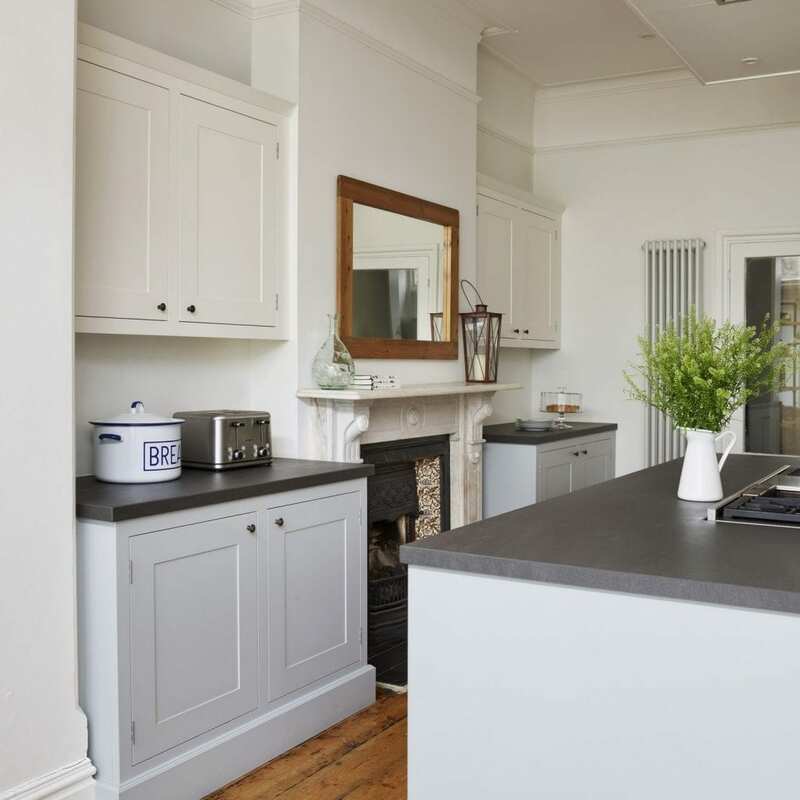 Ali and Joe’s dream kitchen became a reality, and in so doing it completed the remodelling of their Victorian family home. 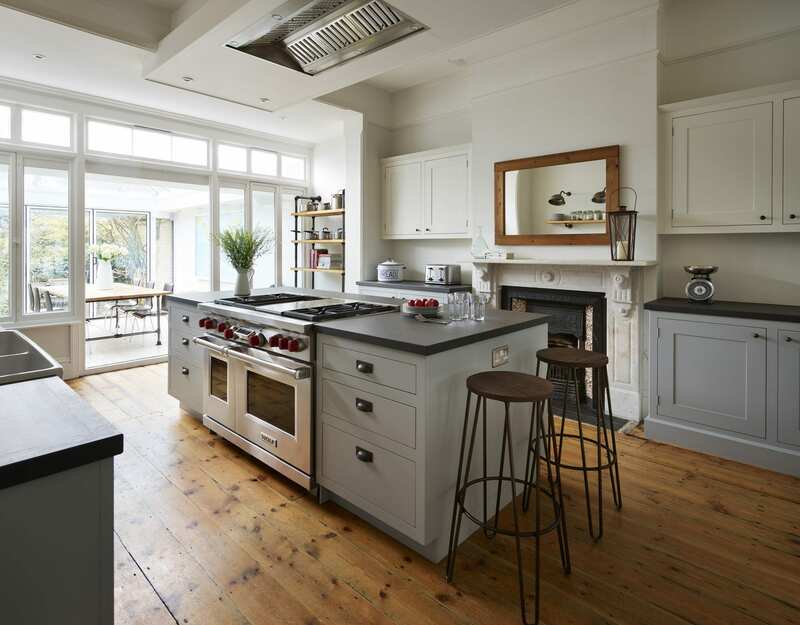 A practical place to cook, relaxed space to spend time with the family and a stylish industrial kitchen that honours and embraces the Victorian heritage of their home – this kitchen achieves all. “It makes for a very comfortable, easy space that really suits the way we live,” concludes Ali. 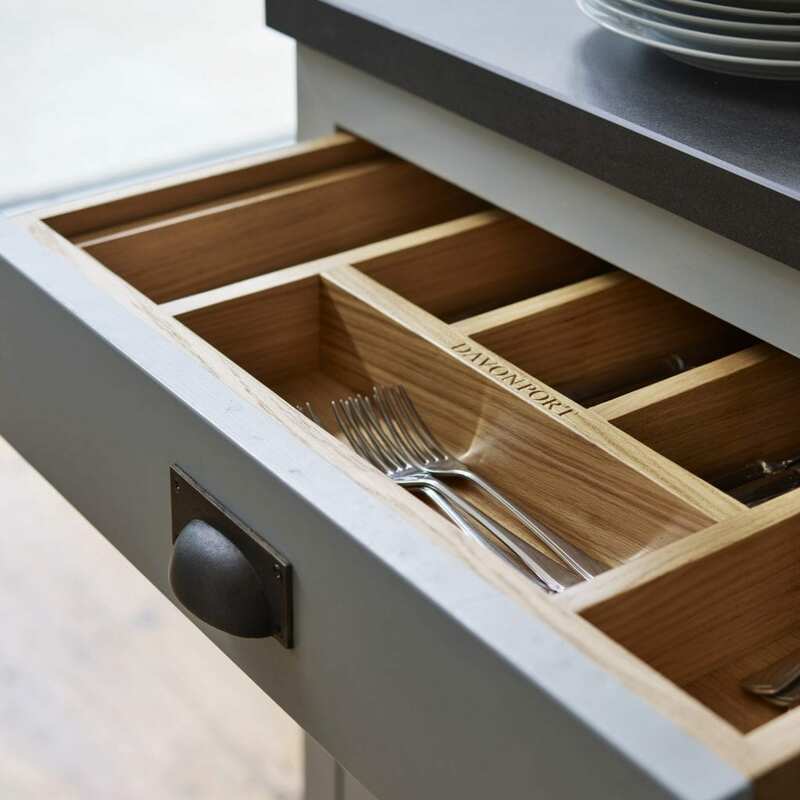 To read more about how their new kitchen has influenced family life for Ali and Joe, visit our Life In My Davonport Kitchen blog post.